Today, fashion-conscious men are trying trendy and suave hairstyles to look like their favorite Premier League Stars. 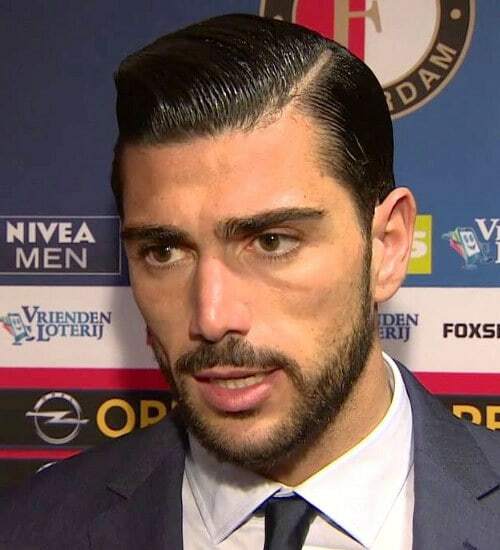 One of the impressive haircuts that is sparkling a style revolution among footy fans is of Graziano Pelle. 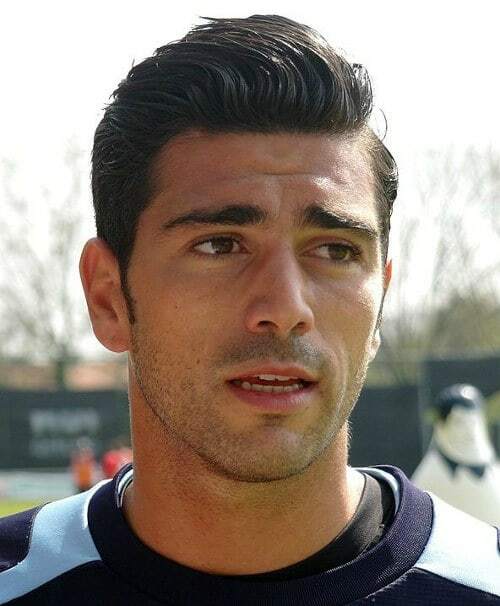 This Graziano Pelle hairstyle goes well with both formal as well as informal occasions. To get this dramatic Pelle haircut, trim the hair on both the sides with expert precision. Leave the top and front hair slightly long. Apply a good quality pomade to add a little bit of texture on the top. Then, with the help of a fine-toothed comb, slick your top hair to one side. Part the hair on the left side is optional. After that, Blow dry your front hair back while combing it back with a round brush. It will elevate hair volume on top hair. Finish it with a holding spray. Spray it to give shine and to hold your hair in place. A well trimmed beard adds sophistication to this Graziano Pelle haircut. It enhances the masculine features and makes you look ultra modern. Whether it’s an evening days with your beloved or a formal gathering, nothing can beat this amazing look.